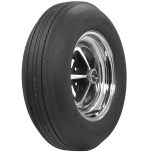 Pro-Trac tires are an excellent choice for pro-street or wide hot rod tires. These huge tires give your ride a race-ready look and stance without the fear of getting caught in the rain riding around on a set of full-on slicks (we know you've been there). 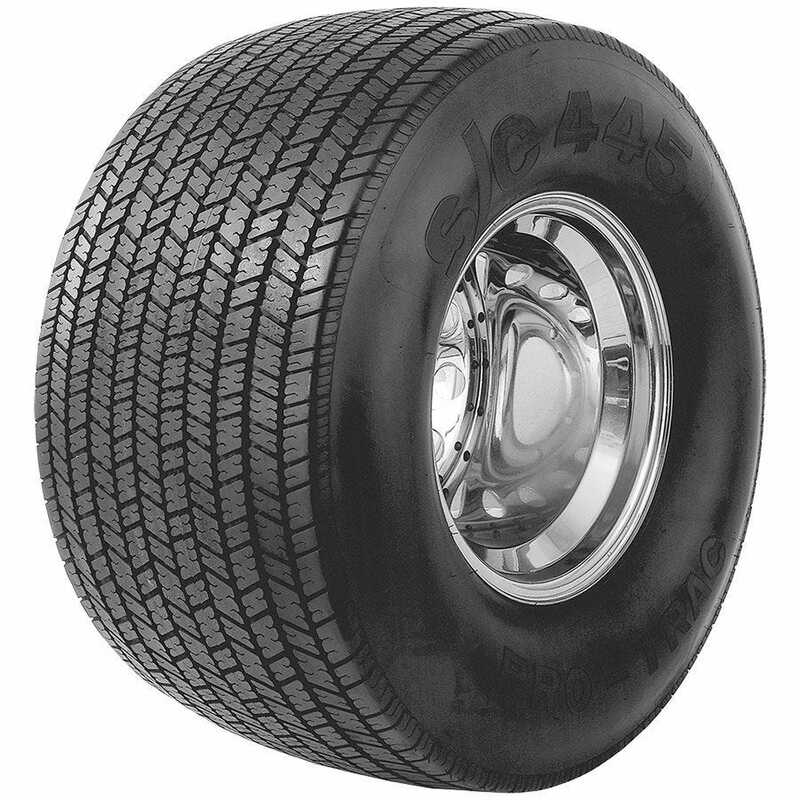 These Pro-Trac tires are DOT approved bias ply tires and they're perfect for a car that is mini-tubbed. The tread pattern has been thoroughly tested to ensure safety in dry and wet conditions. Put your ride back on the road with a new set of Pro Trac tires and be sure to check out the front runners, too! Sorry, our suppliers offer no such tire. 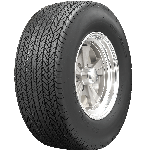 Do Pro Trac tires have a raised white letter? 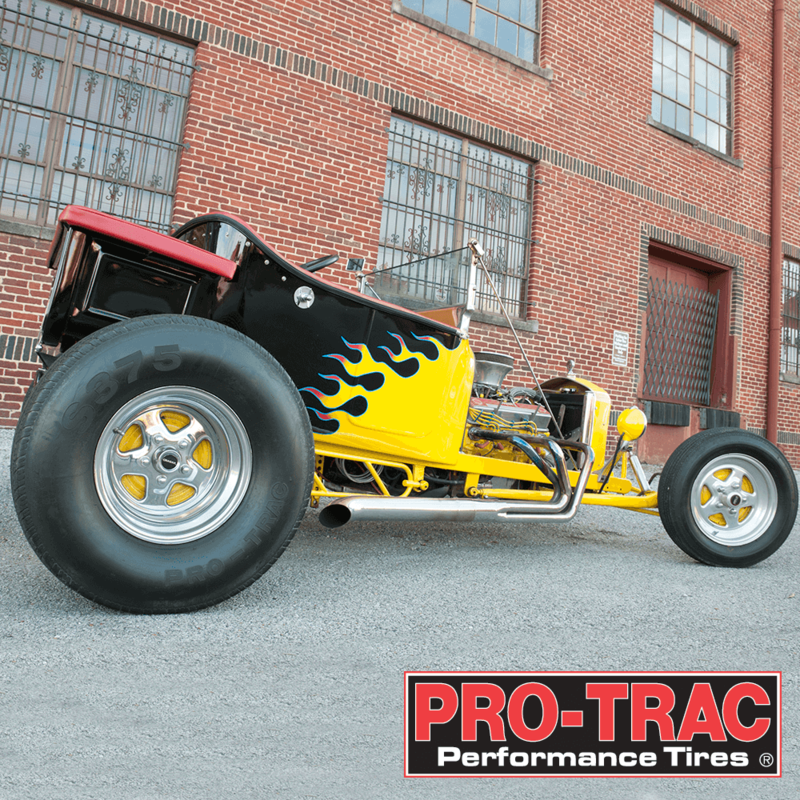 All Pro Trac tires are plain black, no white lettering. Have a 2004 Viper. Need wider tires than 345 Michelins x 18" x 13" inch wide low profile currently on the car. Will the Pro-Trac 16" wide on 16" wheels work with flared fender wells (bigger tubs) and positive offset wheels. 2" inch more positive offset should work. Need to know tire diameter..
Tire diameter, as well as all other relevant dimensions are listed under "Specifications" once a tire size is selected.